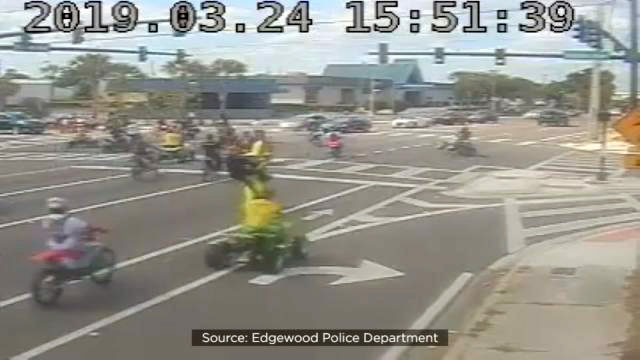 A pregnant woman and the father of her child were beaten by a group of motorcyclists and ATV riders, Edgewood police said. This is happening in several states now. This particular event was close to my neighborhood. I will start carrying my 9mm when I go out now. I know. I usually carry the .380 as it is light and compact. The 9mm is heavier to lug around but more powerful and holds 17 rounds. These guys are totally lawless. Driving off road vehicles in packs and intimidating motorists. They even surrounded a cop car a ran him off the road. Sounds like mad max in Florida.